VENOMIZED 1 MARVEL SKAN INCREDIBLE HULK 181 HOMAGE VARIANT SPIDER-MAN VENOM WEAPON H.
VENOMVERSE #1 BLANK SKETCH VARIANT EXCLUSIVE (9.2 to 9.8). 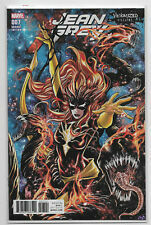 The Perfect Blank for any venom cover, and venomized cover - HOT BOOK! THE VENOM EPIC OF THE FALL STARTS HERE! VENOMIZED #5 MARVEL COMICS CONCLUSION! VENOMIZED #5 (OF 5). VENOMIZED CONCLUSION! Don't miss the conclusion to VENOMIZED! (W) Cullen Bunn (A) Iban Coello (CA) Nick Bradshaw. It's winner take all when VENOM joins Earth's heroes in an all-out final assault on the Poison base. (2018) VENOM #162 DAVE JOHNSON 1:50 VARIANT COVER! X-MEN CROSSOVER! POISON X! This is the 1:50 DAVE JOHNSON variant to VENOM #162. Venom Vol 2 #22 Incentive Michael Del Mundo Variant Cover 1 NM (2014) Rare !!!! THE SAVAGE SIX TOOK THEIR SHOT - NOW VENOM TAKES HIS! When you place a preorder, we increase our order with the manufacturer to cover your order. Buy Now ! When this happen, Allocations has occur from the Distributors. All of our books are very fine to near mint condition unless otherwise specified. Marvel comic book. All of our comic books are handled as gently and as little as possible. They are only removed by us once for pictures. EDGE of VENOMVERSE #1 BLANK SKETCH VARIANT EXCLUSIVE (9.2 to 9.8). The series that sets up the epic VENOM EVENT of 2017 STARTS HERE! Each issue introduces another major Venomized character that will feed into VENOM VERSE itself! (2018) X-MEN BLUE ANNUAL #1 FERRY 1:25 VARIANT COVER! VENOM CROSSOVER! EDGE of VENOMVERSE #1 & VENOMVERSE # 1 BLANK SKETCH VARIANT EXCLUSIVE SET (2 BOOKS). VENOMVERSE #1 BLANK VARIANT. The series that sets up the epic VENOM EVENT of 2017 STARTS HERE! Each issue introduces another major Venomized character that will feed into VENOM VERSE itself! As creators Mike Costa and Gerardo Sandoval bring the sinister symbiote into Marvel NOW!, celebrate this exciting launch with a variant cover by legendary artist Clayton Crain! One thing is certain – Venom is back, and it’s good to be bad…. VENOMIZED #2 (OF 5). VENOMIZED Part 2. (W) Cullen Bunn (A) Iban Coello (CA) Nick Bradshaw. One Avenger might not make out in one piece! MARVEL COMICS. The grand plans of the Poisons begins to make themselves known.including their designs for Cletus Kasady! VENOMIZED #5 (OF 5) BAGLEY CONNECTING VAR. VENOMIZED CONCLUSION! Don't miss the conclusion to VENOMIZED! (W) Cullen Bunn (A) Iban Coello (CA) Mark Bagley. Earth's warriors battle for not only the fate of the planet - but of the entire universe as they know it!